All injectables are performed by Dr. Runnels personally. Remember, it’s important to always insist on a rigorously trained Plastic Surgeon for injectables. Dr. Runnels is in the top 1% of physicians nationwide having performed over 10,000 procedures. Botox Cosmetic is commonly used to reduce or eliminate the appearance of fine lines and wrinkles on the forehead. Made from a purified protein, Botox has the ability to relax the muscles used to create facial wrinkles, giving you a more youthful look. As we age, the natural volume of our youthful skin begins to diminish, as wrinkles and folds appear. Juvéderm instantly restores your skin’s volume and smooths away deep lines and facial creases. Each treatment is customized just for you to give an instant, natural-looking result. The results are immediate with minimal downtime. 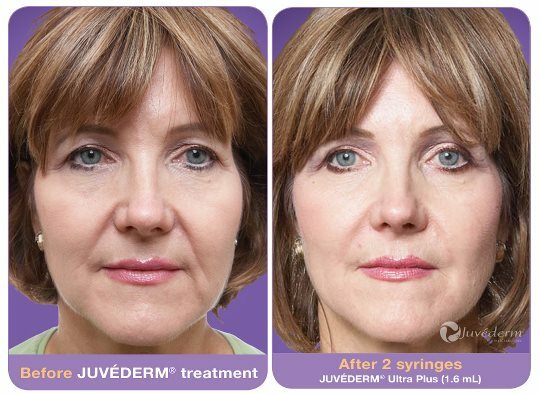 Juvéderm is the only FDA-approved HA (hyaluronic acid) filler that lasts up to one year with just one treatment.